Her books sold more than two billion copies, so it is no surprise that the works of Agatha Christie continue to both resonate with and delight audiences today. 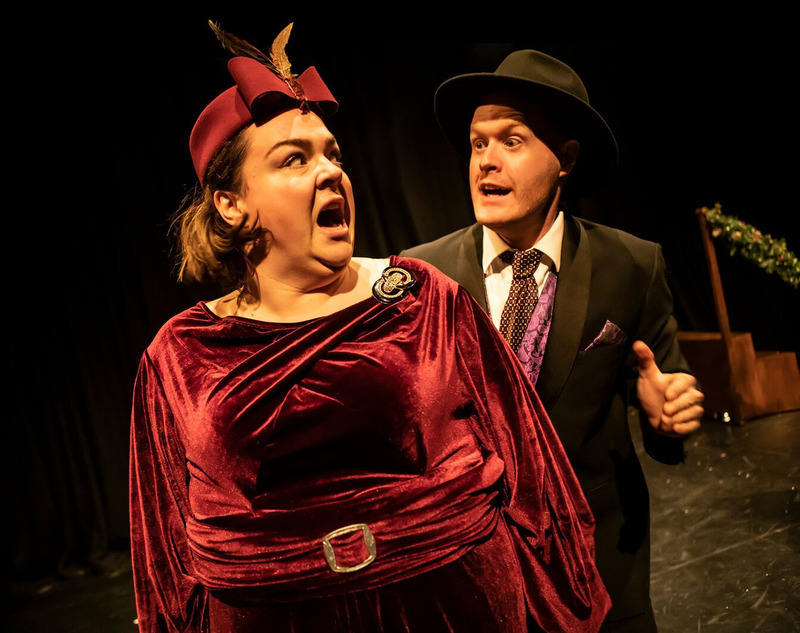 And it is that reverence for the queen of the crime whodunit that explains the continued success of the series of Crimes plays lovingly and masterfully created by New Old Friends theatre company in tribute to the creator of Miss Marple and Hercules Poirot. The award-winning New Old Friends return to the live stage at Lichfield Garrick theatre with their latest instalment - Crimes Of The Christmas Pudding - which was apparently inspired by a short story featuring the Belgian detective Poirot, in which he visits a country home on the pretext of experiencing a classic English Christmas. 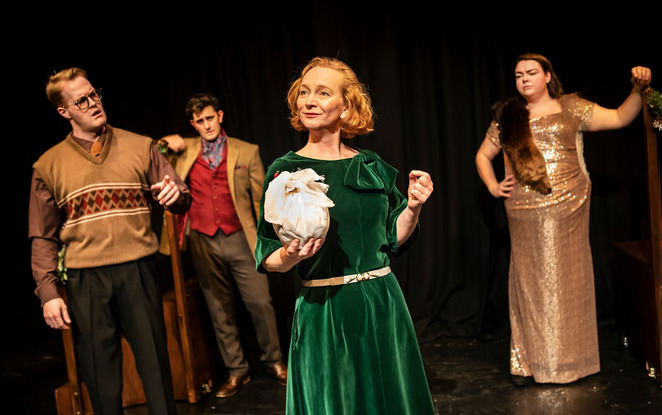 In the hands of New Old Friends, and the skilled talents of theatre company founder and writer Feargus Woods Dunlop, Crimes Of The Christmas Pudding sees the return of the completely different Belgian detective, namely female sleuth Artemis Arinae. 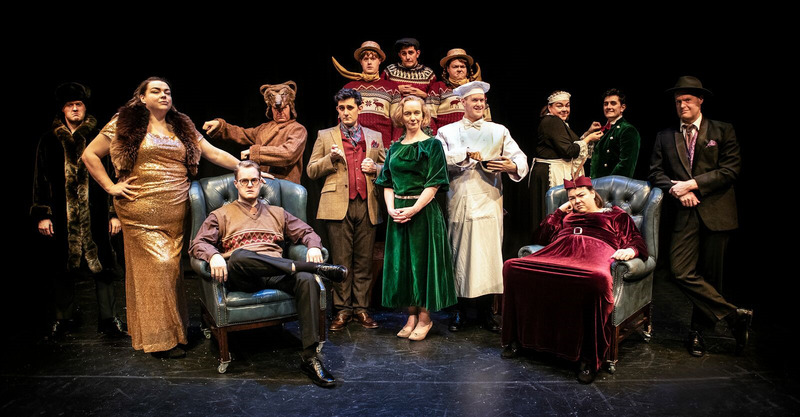 With the excellent Jill Myers superbly reprising the role, Artemis finds herself in the midst of a frisky festive crime caper set in English high society. Fast becoming a Lichfield Christmas tradition, Crimes Of The Christmas Pudding is the fourth instalment in the series of comedy thrillers loosely based on Agatha Christie's novels following the sell-out successes of Crimes On The Christmas Express last year and Crimes Against Christmas in 2016, plus the non-seasonal Crimes Under The Sun. A fifth in the series, Crimes On The Nile, is eagerly anticipated in 2019. In the current Christmas Pudding offering, Artemis arranges an invite to the home of Lord Edward Lorde and his wife Lucy after being hired by Russian Prince Milanov to search for a priceless missing ring which he lost during a ball at their stately home. Cue topical references to hacking and election interference, as well as risqué double-entendres which give rise to the recommended 14 age restriction. A variety of other guests also turn up for Lord and Lady Lorde's traditional family Christmas, namely neighbours Jerry and Margot Watt, and Lady Lucy's cousins Sebastian and Viola Verona. Also thrown into the mix are the Lorde's spoilt children, Oliver and Isabella, and the Watts' largely ignored son, Walt, together with the house staff comprising the butler, chef Herr Schmitt and maid Molly. But what makes this production, splendidly directed by Nel Crouch, even more remarkable and amazing is that all 13 characters, plus the occasional animal, are played by a cast of just four. While Jill rightly focuses on just Artemis during this fast-paced romp, the other three actors outstandingly take on at least four roles each. Steven Rostance appears as the Prince, Lord Lorde and his son Oliver, Jerry Watt, and the chef; Laura Crowhurst is femme fatale Lucy and her daughter Isabella, Margot Watt and Molly, while Oliver Malam takes on both Sebastian and his sister, Walt Watt, and the poor put-upon butler who everyone accuses of the eventual murders. 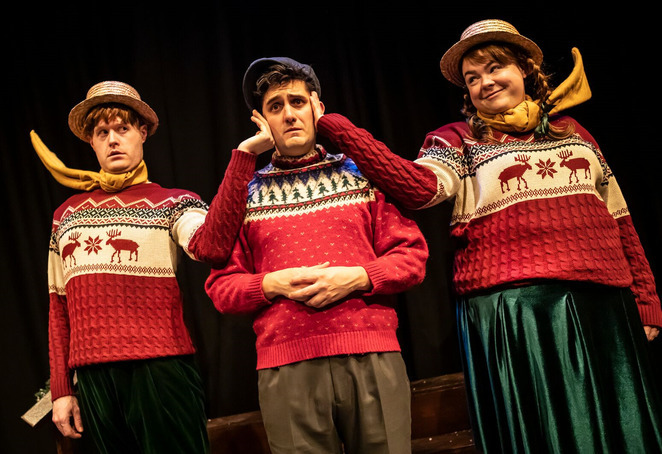 Crimes of the Christmas Pudding, which includes a hilarious must-see bedroom scene, continues at the Lichfield Garrick until Saturday 5 January 2019, although there are no performances on December 10, 17, 18 and 25, and on January 1. Tickets priced £20 and £22 are available by visiting www.lichfieldgarrick.com or by calling the Box Office on 01543 412121.